My 40-day break from social media and health coaching has recently concluded. During that time I poured a lot of prayer into specific areas: unity among the believers in the Kamiah, Idaho area, closer relationships with our kids, and seeking direction and wisdom concerning my health coaching business were a few of them. For the first several weeks, my prayers accended but I didn’t have any specific clarity. 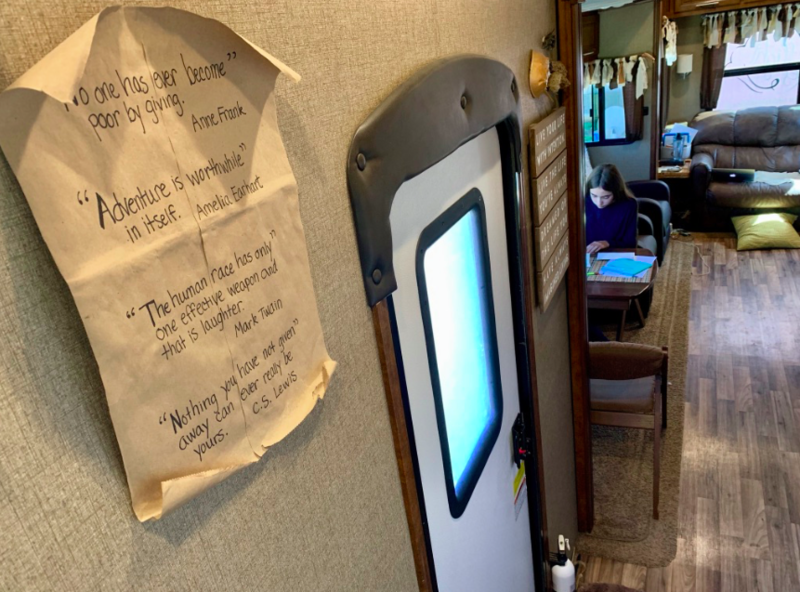 However, on day 26 an event occurred that helped bring insight into what I believe God wanted to do within my heart concerning my business: the screen door on our RV fell off its hinges. As a result, we currently have a front door that is either entirely open or completely closed. There is no middle ground. As such, we now notice things we previously overlooked–such as how dirty the inside of our door had become behind the ever-present screen. A prompt, long overdue cleaning ensued because we could now see the situation for what it really was, instead of overlooking it out of situational ignorance. My time of fasting allowed a similar situation in my heart to occur. At the removal of social media and the pursuit of building my business, I’ve been forced allowed to see things that I’ve been overlooking. Here is what I’ve found: A year ago, when God invited me to use my gifts and my past to encourage women, I took that invitation and ran with it, pouring myself into health coaching and devoting 18-20+ hours a week to the goal of reaching as many women as I could. In the process, I unknowingly created an idol out of the opportunity and I believe missed His intended purpose for me. My blog post here sheds some light on the Biblical story that God used to begin helping me to discover this.